What if we approached New Year's Resolution Setting more as an Intention Setting opportunity? Many spiritual traditions offer rituals to help us create conditions for this level of clarity and healing. These rituals often begin with practices that ask us to reflect on behavior and choices made over the year: to review any regrets, mistakes, or challenges. A process intended to be a learning opportunity, so wounds can be healed and old habits, unhelpful behaviors, are less likely to be repeated. As we stop living life as a series of habitual reactions or from 'old story lines' we can become more deliberate about how we want to approach or participate in whatever each moment presents. We can choose more thoughtful and caring responses. This ups the odds that we will experience our wholeness and wellbeing. I love creating rituals, especially for the message it sends: Slow down. Pay attention. And, I do practice an Intention Setting Ritual every New Years. It involves some meditation, deep relaxation, journaling and, of course, candles and sage. But setting intentions doesn’t require a big ritual. In fact, I set intentions for myself regularly—and few of them involve candles and sage. I celebrate most holidays, the turn of each season, and my birthday reminding myself how I want to walk into my future. What choices I want to make. In fact, I begin my personal practice each day with an intention, "May I recognize when I need to pause and start again." Okay, truth be told, I regularly pause through out my day, and set an intention to remind myself that I can choose how I want to respond or participate in particular moment; and, that when I get 'lost' I can always come back to start again. This is essential for me because, like most of us, I can be high jacked at any moment by disappointment or fear. Or, get sucked up into busy-ness, routine, or my iPhone. And after years of yoga, meditation and regular intention setting what’s happened in my life is this: I still have tough days. I still feel anger and jealousy, confusion and disappointment. But all those feelings now have a much shorter shelf life. It’s easier for me to recognize them before they take hold. It’s easier to move through them and back into a state of openness and care. With regular intention setting, I'm only days, hours, or minutes away from being reminded to pause and reconnect, so I am less overwhelmed or controlled by these harder experiences and feelings. This is at the heart of yoga and meditations practices; we are learning that we always have a choice about how we step into the moment. This is one of the significant gifts of our practice. Because the stress in our lives may not go away, it may not change. But how we respond to it—and more important, how it affects us—can change. The more often we pause and set an intention, the easier it becomes to make wise choices. And then the easier it is to do it again. As you begin this New Year, may you too take some time to set your personal intentions; may you pause to connect with yourself and remember you are already whole... And then, may you do it again and again... all year round. 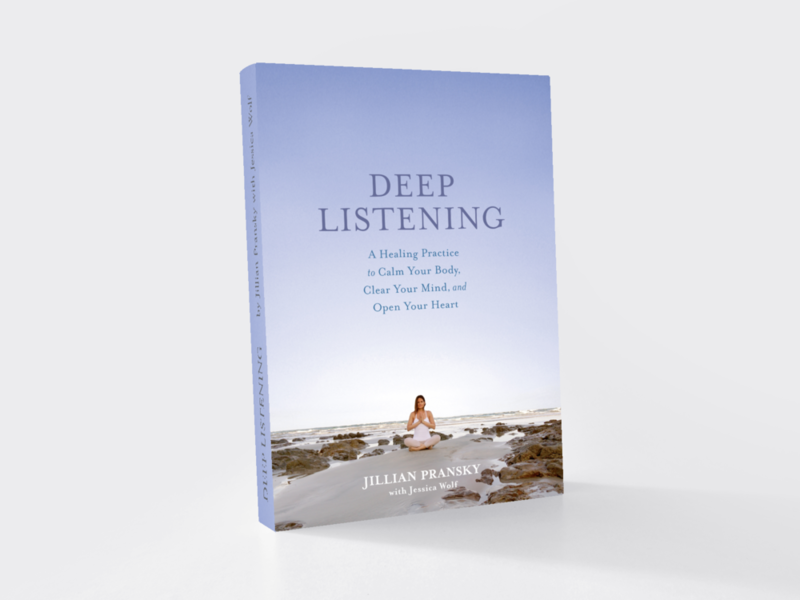 Start The Year Of Listening Deeply: At the heart of my new book, Deep Listening, I offer a process and practice to help release deep habitual tension, limiting patterns, and old story lines. We set the conditions for stories to continually grow and evolve, and our the ability to live more intentionally day after day.